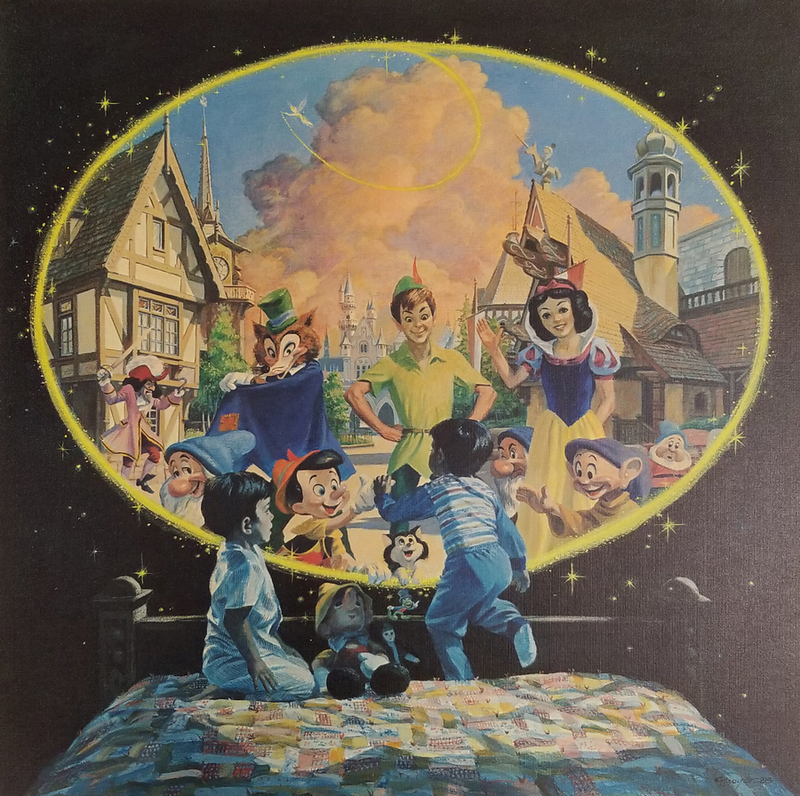 This is a special commemorative lithograph created by Charles Boyer to celebrate the re-dedication of Fantasyland in 1983. 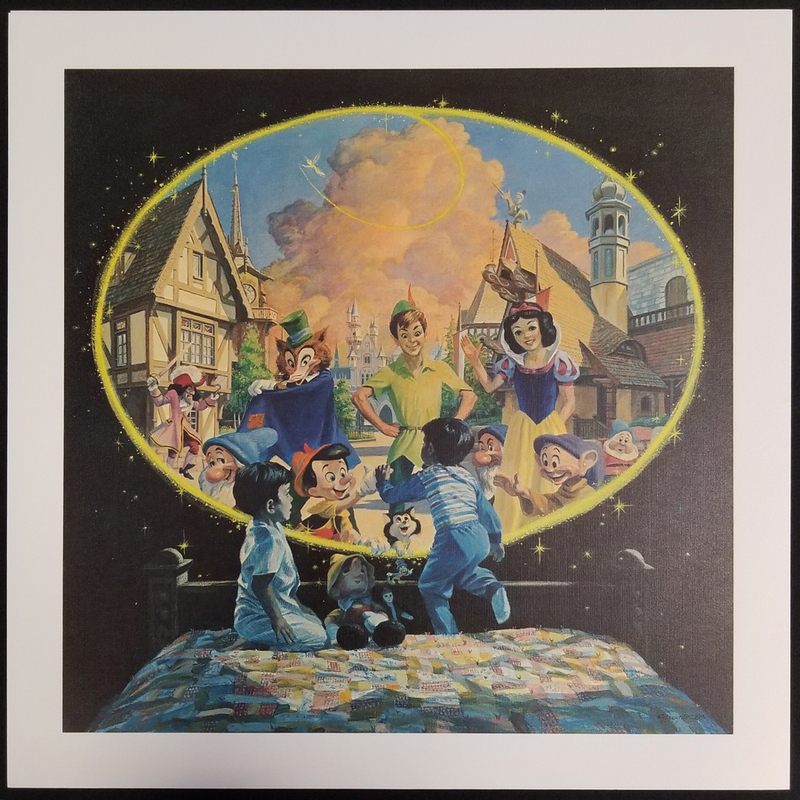 The 22.5" x 22.5" lithograph is in very good condition and features a beautiful scene of children dreaming about Disney characters in Fantasyland. It was created in a limited edition of only 3750 pieces. The piece is unnumbered and unsigned, possibly as part of the color correction process during printing.